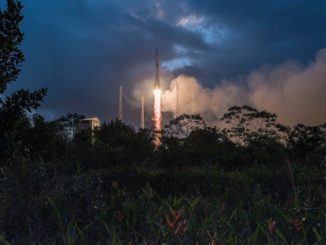 A Soyuz booster vaulted into a sunset sky over French Guiana on Wednesday evening, arcing north from the jungle spaceport in South America with six satellites to inaugurate OneWeb’s global broadband network. 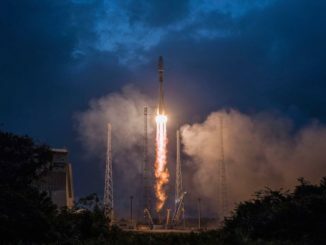 Carrying the ambition of an entrepreneur with a passion for connecting the world, a half-dozen satellites lifted off Wednesday aboard a Soyuz rocket from the edge of the Amazon jungle in South America to kick off a series of at least 21 planned launches to deploy OneWeb’s global Internet network. 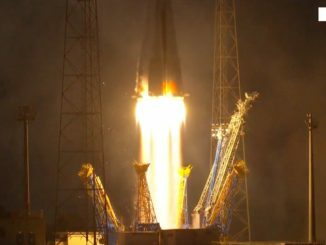 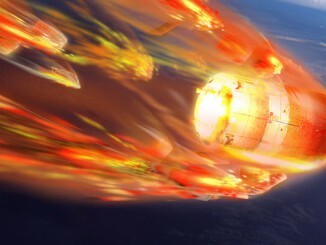 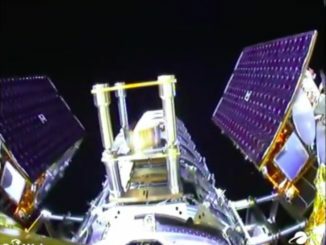 The first six broadband satellites for OneWeb, which envisions a constellation of hundreds of orbiting relay stations beaming Internet signals down to Earth, lifted off Wednesday aboard a Soyuz rocket from French Guiana. 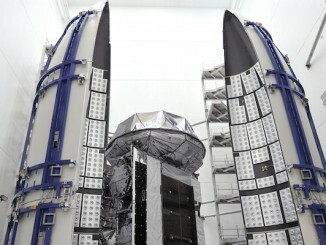 Launch occurred at 2137 GMT (4:37 p.m. EST). 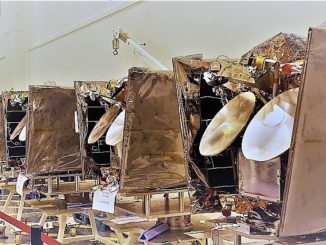 Six satellites built in France for OneWeb are set for blastoff Wednesday from French Guiana, the first of at least 21 launches using Russian-made Soyuz rockets to haul more than 600 of the refrigerator-sized craft to orbit for global broadband service. 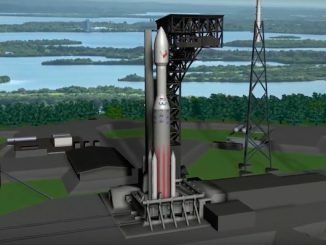 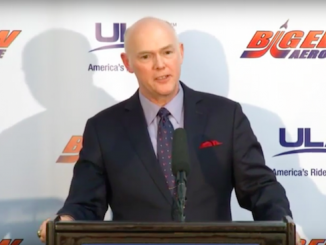 Ruag Space, the Swiss manufacturer of nose shrouds for the Atlas 5 rocket, plans to relocate production of Atlas launcher components to United Launch Alliance’s rocket assembly plant in Decatur, Alabama.